#INDOTWinterOps Winds died down around 2AM, that means no blowing and drifting, that does not mean roads are not slick in spots. Watch for black ice and slick spots this morning on your commute. Roads are much clearer, but may still be slick! #TrafficUpdate : S.R. 8 has ALL LANES CLOSED at C.R. 600 E in #NobleCounty due to a crash. 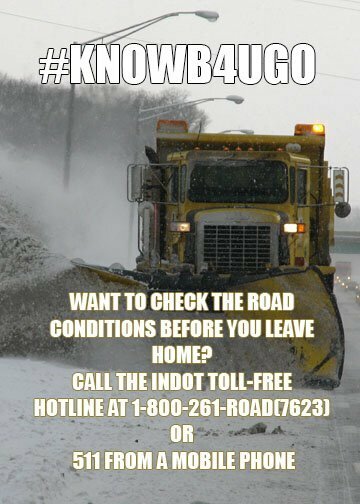 For up to date road conditions check INDOT.carsprogram.org . Allow for extra braking room and extra travel time. 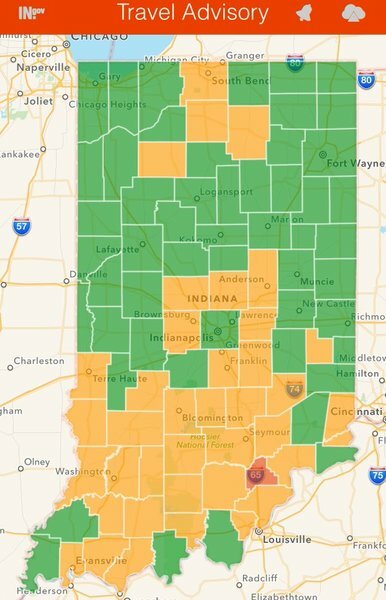 #INDOTWinterOps update: Crews will be cleaning routes and peeling back shoulders today. 638 #YellowTrucks out on routes statewide.